The courtroom remains open to the public upon presentation of a state ID card, which is retained by court authorities for the duration of the session. There were very few members of the press in the courtroom, a small number of spectators, and decreased police presence compared to previous hearings. None of the defendants was present at the hearing. The witness (the president of the Tanzanian community), aided by an interpreter (from English), responded to questions by defense counsels Roussopoulos and Tsabazi. He stated that he doesn’t know how many suits had been filed by the municipal authorities against the bar “Africana”, and that he also didn’t know that a document of the Municipality of Athens of September 17th, 2012, mentions that due to increased numbers of undocumented immigrants, the area has developed sanitation problems and increased crime levels. Furthermore, he did not recall any meetings of the residents of the area dealing with crime levels and the area’s decline, in September 2012. 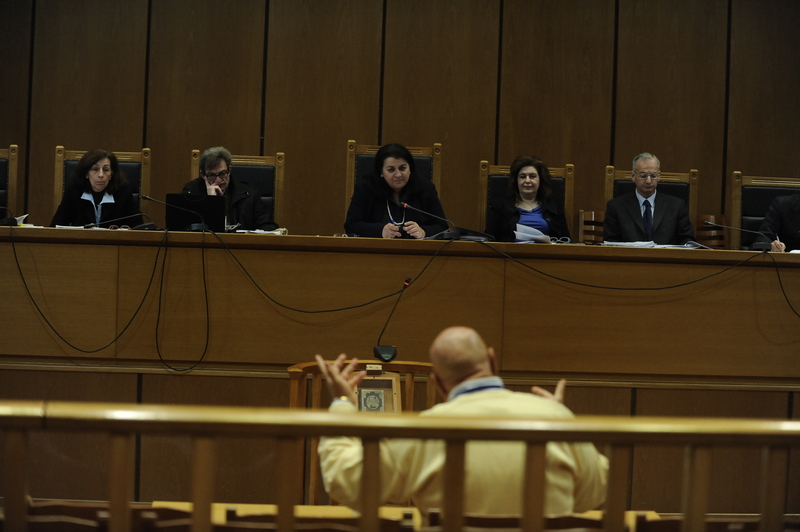 Responding to questions by defense counsel Roussopoulos, the witness stated that he has been living in Greece since July 1974 and denied that he came in 1972 as a Christian Copt, as the defense claims. On the contrary, he challenged anyone to come forward with evidence to support such a claim. The witness also stated that the Muslim Association maintains a site on the internet and a Facebook page, and the witness has his own webpage, which contains information about the Association’s activities. Roussopoulos then produced a few photographs so that the witness could identify certain persons depicted therein. The witness identified himself and the Mufti of Xanthi, as well as others, and said that the meeting took place for matters pertaining to the Qu’ran, and in which his own daughter participated as a Greek Muslim, and that Erdogan’s son was also present. All of the above were posted on the internet by the witness himself. According to Roussopoulos, Bilal Erdogan has been accused of connections with ISIS. He also added that the witness’s credibility should be investigated and that he is involved in shady dealings with ISIS. He also asked the witness whether his spouse gave an interview saying that the Muslims of Western Thrace are oppressed Turks, but the presiding judge forbade the witness to answer the question and defense counsel Tsabazi took the floor, and asked the witness whether he came to Greece during the Junta years on a fellowship supported by Archbishop Ieronymos, a question that the presiding judge also forbade. Defense counsel Tsabazi then emphatically referred to the permits given to mosques and whether these mosques observe the safety rules. The witness said that they found a law from the Metaxa years which sanctioned the permits, but in any case no crime has been committed and that both the Police and the Ministry of Public Order are duly notified. The witness then cleared up that as a president of the Muslim Association he enjoys excellent relations with Balakos, the Attica Police Director, as well as the various Chiefs of Police, because the Association respects the letter of law and the State has embraced it. He added that they had no problems in any quarters of Athens, apart from the center, and that was due to the election of Michaloliakos. The witness then referred to defendant Skordeli, saying that she wants Greece free of all immigrants, not just Asians and Africans. He added that if all immigrants were to leave Greece, Greeks would not be able to find fish in the market or cheap labor, because Greeks go to university and don’t become fishermen, something that drew sarcastic comments from the defense counsel (“Yes, before the immigrants came, Greeks didn’t eat fish”). 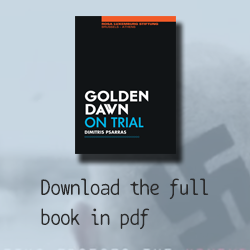 The witness also said that Golden Dawn’s ideology changes “by the hour”. Today it’s the immigrants, tomorrow will be someone else, and the day after still someone else. When asked about his connection to KKE, he said that he has met them in protests they both march in, concerning Palestine, Gaza, etc. and that the association has organized seminars in the General Athens Police Directorate to inform policemen about Muslims and how to handle them. The witness also stressed that “we [:the Muslim Association] work together for the safety of the country. The Muslims of Greece form a shield so that no radicals and terrorists can pass through our midst”. The mosque permits were revisited by defense counsel Tsagas, something which caused civil action Kabagiannis to object: “The question concerning the legal framework of the mosques’ operation has already been submitted. Will we pass the whole day dealing with the legal framework? Don’t we already have an indictment?” In any case, the witness made clear that these places of worship have been known since 1984, and that since then, about 100 of them have opened, and that these places aren’t illegal but irregular, as Pagalos once told him. Tsagas then started reading from a report of the State Ombudsman, which said that since 2006 there has been an increase in the numbers of illegal aliens and that their concentration on the street creates circulation problems, as well as pollution, something that caused civil action counsel Zotos to object regarding the reading of documents. Defense counsel Zografos took the floor, who, after stating that there are disagreements between the various associations’ interpretation of Islam and therefore not all Muslims go “hand in hand”, asked whether the residents of an area have the right to protest the illegal relocation of people in their quarter and the illegal operation of mosques, only to receive the answer “we’re supportive of democratic rights, but not of violence”. The witness was asked whether Michaloliakos was the only one to talk about the illegal mosques in ‘09 and ‘10, and the witness answered that Karatzaferis used to say the same things. The matter of the legality of the mosques was reopened by defense counsels Aggeletos, Velentza, and Tsebetzis. 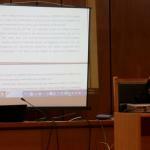 Responding to questions by N. Michalolias, the witness stated that “The ideology of the LAOS political party was calling for the expelling of immigrants, but within the framework of the democratic process. Without violence. But Michaloliakos took up arms. Karatzaferis was the first to say it and Michaloliakos repeated it. He made it his goal. And the first act was the arson”. Responding to questions by the presiding judge the witness stated that she is single, that she is a student in a private school of business, that she met Apostolopoulos in November 2012, when she was a student in the 2nd year of Lyceum, that he was four years older than her, and that he was a university student in the School of Theology, and she denied to answer whether they are still seeing each other. Apostolopoulos went to prison for two and a half years for grievous bodily harm, there is a decision by the court of appeals, and today he is continuing with his studies. She used to be in the same class with Foivos Demertzidis and now they don’t talk anymore. She also denied to answer questions about the relations between Apostolopoulos and Demertzidis, given that she is to go on trial accused of aiding and abetting the crime. 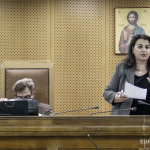 Responding to a question by the presiding judge about whether Apostolopoulos had said that he was a member of Golden Dawn, she stated that she doesn’t know and that Demertzidis called him a Golden Dawner based only on Apostolopoulos’ appearance, i.e. because he was tall. She also mentioned that she doesn’t know what are the political beliefs of Demertzidis and she can’t remember whether the word “Antifa” had been written on her desk. She also couldn’t recall whether Demertzidis had accused her and Apostolopoulos of being “fascists”, and she also believes that Foivos is an anarchist. Regarding the text messages sent by Golden Dawn to the cellphone of Apostolopoulos, she stated that she heard in court that Apostolopoulos received text messages about GD events, but she didn’t know his political beliefs and did not concern herself with political matters. Responding to a question by the assistant state prosecutor, she stated that she doesn’t know where Chatzipavlidis is staying, that he was a friend of Giorgos [:Apostolopoulos] and that in her opinion the “altercation” wasn’t the result of political beliefs, but the result of Apostolopoulos wanting to protect her. 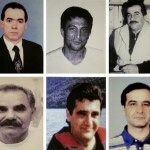 The witness was questioned in turn by civil action counsels Theodoropoulos, Vrettos, Stratis, Malagaris, Tobatzoglou, Papadopoulou, Kabagiannis, Zotos, Papadakis, and Zafeiriou. 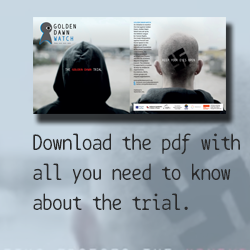 The witness, when asked to clear up her statement of November 29th, 2013, concerning the text messages, that “it’s clearly a proselytizing technique, since Golden Dawn is not the most democratic of political parties”, she said that other parties send messages too, and Golden Dawn does the same, and that she doesn’t remember what else she said. Concerning Golden Dawn she stated that everything she knows she has heard it on TV, the same holds true of the attacks against immigrants, and she also said that she never saw Golden Dawn symbols and insignia in the house of Apostolopoulos. When asked how she knows that Demertzidis is an anarchist since they don’t talk anymore, she said: “In the first trial, he and his family received support from these groups. An article was posted in Indymedia. I read it because in front of me lay all this chaos. They were swearing at me”. 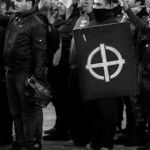 Responding to a question by civil action counsel Tobatzoglou about whether it is an accusation to call her a member of Golden Dawn, the witness stated: “I thought it was something that was meant as negative. Maybe I used the wrong verb”. 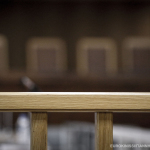 Responding to questions by civil action Kabagiannis the witness denied that she gave any political overtones to the incident during her preliminary testimony and that in general this particular case had no political motives. She also did not remember whether there were symbols of Golden Dawn in her school, the only thing she did recall was that there were some slogans and that everyone was writing them. Regarding the attack she mentioned that Apostolopoulos went to talk to Demertzidis, they quarreled, and that’s how it happened. The witness also mentioned that after an incident whereby Koursopoulos called her a fascist, the next day he came to apologize, and that no other people were in the park where they met. Concerning the reasons why Apostolopoulos received text messages from Golden Dawn she stated that they get the numbers from telephone directories, the way other political parties and corporations do when they want to do text message campaigns. She also denied that she was going to school wearing army boots, that she had shaved half her head, and that she was drawing swastikas. She went on to claim that she didn’t know when Apostolopoulos was to meet with Demertzidis and that she was surprised by the course of events, because Apostolopoulos wasn’t violent. The witness was then examined by defense counsels Nikos Michalolias and Alexiadis, saying that the reason for the incident is that she was in a relationship with Demertzidis in the third year of high school and he was bothering her and pressing her to get back together, and he also abused her verbally by telling her that she is a Golden Dawner and to dump that Golden Dawner [:Apostolopoulos]. She also confirmed that she received text messages by KKE, despite the fact that she isn’t a communist. The presiding judge adjourned for Wednesday, March 8th, 2017, when witness Kimonas Koursopoulos is expected to testify.